Monkey King Bar is one of the most iconic items in Dota 2 history, having been in the game since the early days of the Allstars era. Since its inception in version 5.31 (which was around 2003 to 2004! ), it has been one of the only purely DPS-focused weapons in the game, even after going through several significant changes and reworks through the years. Nowadays, however, Monkey King Bar isn’t purchased solely for its increased damage output anymore. 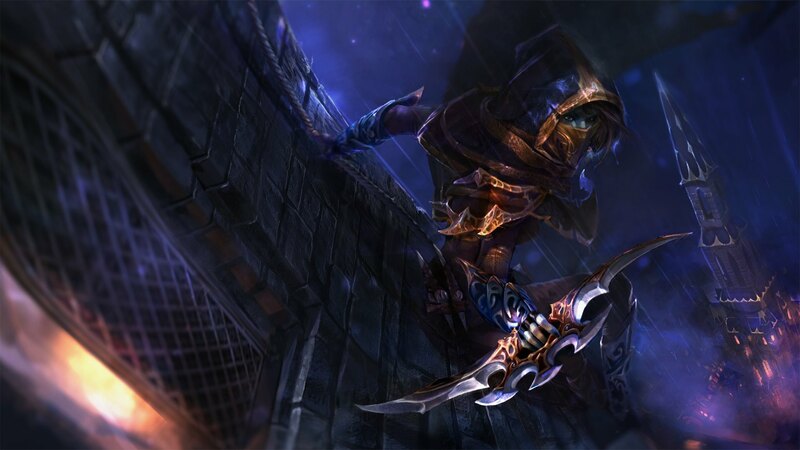 Rather, its ability to completely ignore passive evasion mechanics is what attracts players to it, particularly when playing against heroes with built-in evasion or blind such as Phantom Assassin, Brewmaster, Tinker, and more. After all, missing an attack entirely results in zero damage for that instance in particular, and those unlucky enough to miss several times in a row will have drastically reduced DPS as a result. Monkey King Bar comes in to patch up this problem. Although it no longer provides perfect accuracy as it once did before Patch 7.07, the 75 percent trigger chance on the new MKB is absolutely nothing to sneeze at—especially once you consider the 100 bonus damage that comes packaged along with it. Together, both of these things can give carries a serious boost in physical DPS, and increase their consistency against targets that would otherwise just dodge their attacks often. The latter point in particular is important to keep in mind; there’s no point in having the highest DPS on paper if you can’t dish it out consistently. Of course, Monkey King Bar faces some competition from Bloodthorn, another physical damage item that counters evasion. Unlike MKB, Bloodthorn shuts down evasion via its active ability, which causes all incoming attacks to hit 100 percent of the time rather than just 75 percent. In addition, the effect greatly amplifies all incoming attacks for 140 percent of their regular damage values, which can make a massive difference when you consider that all five heroes on a team can focus their attacks on the target at once. Bloodthorn’s advantages, however, do come at a steep cost. It is actually the most expensive item in the entire game, costing an eye-watering 7,205 gold. It also requires Orchid Malevolence in its recipe, which is an item that physical carries typically don’t even buy. More than the economic considerations, though, the key difference lies in the active ability: Bloodthorn’s debuff can be purged by Black King Bar, blocked by Linken’s Sphere, and dispelled by Aeon Disk. Monkey King Bar’s Pierce, on the other hand, is always on, and can only be disabled through the use of a Nullifier. In that sense, MKB is more consistent in deep late game scenarios, when Bloodthorn’s typical targets would already have BKBs on hand. This makes MKB’s niche clear. Bloodthorn has its uses and is an incredible item in its own right, but it isn’t always the right choice against evasive carries. MKB is also far less cost-prohibitive, coming in at just 4,175 gold in total; a much more affordable price tag. Much like its “non-flat DPS” counterpart Daedalus, Monkey King Bar requires a certain amount of attack speed to make it worth using in the first place. This is a consequence of its chance-based design, which is bolstered by having more attack speed. As the saying goes, the more you play, the more chances of winning—in this case, “winning” being scoring a Pierce with MKB. Unfortunately, the bonus attack speed provided by the item isn’t great at all. +10 attack speed is pretty negligible in the mid to late game, which means that you will have to either rely on your hero’s natural attack speed scaling (assuming it is blessed enough to have such scaling built-in), an active ability such as Troll Warlord’s Battle Trance, or another item that also gives a large attack speed bonus such as Moon Shard or Manta Style. This is another paradigm or dimension, so to speak, of the decision-making process with regards to MKB. If you do not have the attack speed to support it, you are probably better off buying some other item in order to counter the opponents’ evasion mechanics. Silver Edge is one option, as it disables passive abilities such as Phantom Assassin’s Blur upon attack them out of Shadow Walk. Sadly, Silver Edge does not solve the problem of blindness from things like Radiance burn, Tinker’s Laser, and the like—so it’s not exactly a complete replacement. Either way, we urge you to consider just how much efficiency you can get out of MKB before purchasing it just to deal with evasion. Sometimes, it’s even better to just skip thinking about the MKB to begin with and instead draft heroes that can deal with evasive targets, such as Doom (with Aghanim’s Scepter) or Viper with the Break mechanic on Nethertoxin.